If you are passionate about the planet and other species, join the Nature Mates club. You can spend your weekends helping with habitat surveys, rescuing birds and animals, and setting up homes for butterflies! 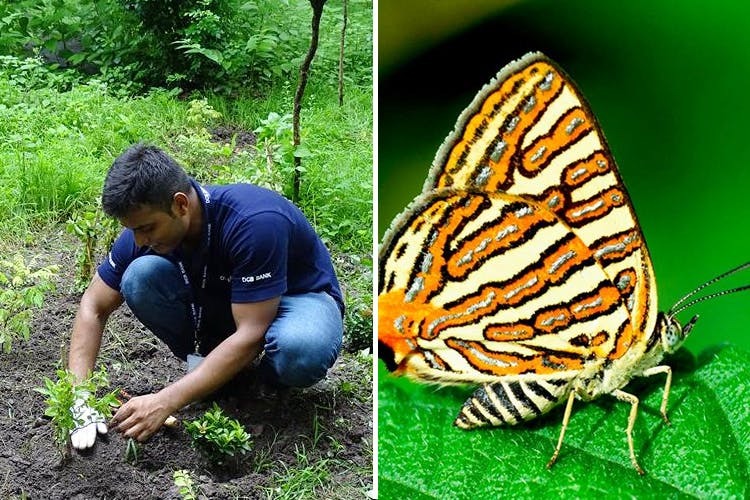 It’s a city club for all kinds of nature lovers across all age groups, especially known for their efforts to help create butterfly habitats in Kolkata, including one in Banabitan in Salt Lake and another in Narendrapur Ramkrishna Mission School campus. Imagine hundreds of colourful butterflies around a tropical garden specially created for them to fly freely around! The organisation was lauded by Lee Durrell, the American wife of English naturalist, conservationist, and writer Gerald Durrell. Everyone who has a passion for conservation efforts and are committed to preserving the environment. You can volunteer at the butterfly centres. Butterflies – much like bees – are great indicators of the health of an ecosystem. If they are missing, the news isn’t good. Their presence shows an area is biodiverse. They are also good climate change indicators. You can also help out the Nature Mates team with animal rescues, extensive surveys, and biodiversity status reports. You can read more about them here. Nature Mates was formed by a group of nature-obsessed individuals who came together in 1994. They have rescued all kinds of animal and birds – snakes, monitor lizards, turtles, civets, jungle cats, mongoose, and birds such as vultures, kites, barn owls, sparrows and crows. You can check out their work here and here.